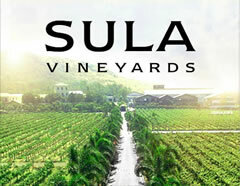 Private consultancy devoted to promotion of wine culture in India through various programmes including wine appreciation evenings, short term courses, wine trade shows, organising visits of foreign wine producers, helping in location of distributors, offering information on the market and the importers and Indian producers. 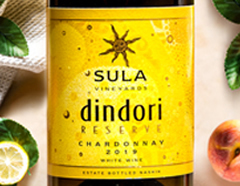 Publishers of delWine - India’s First Wine and Food, eNewsletter distributed globally with no charges. Indian Wine Academy (IWA) is a New Delhi-based market development consultancy firm with extensive contacts among wine and food professionals and hotel management institutes around the country. 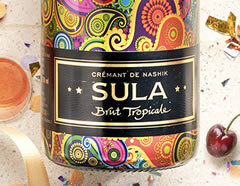 It helps professionally to facilitate increased consumption of wine and promotion of wine culture in India. It organizes and conducts programmes throughout India to help foreign companies enter the Indian market and Indian producers to sell more wine. The Academy was launched in 2003 by IT entrepreneur Subhash Arora, Founder President of Delhi Wine Club, an avid wine promoter and journalist, speaker, international judge and author, aided by Sourish Bhattacharyya, a food and wine journalist with 25 years of relevant experience behind him. IWA launched delWine, the country’s first online eNewsletter on wine, food business, and retail and hospitality sectors in April 2006. The complimentary India-centric weekly eNewsletter is sent to 33,000 subscribers in 70 countries - 782 issues have been sent till July 31, 2018. It disseminates useful information about the Indian wine industry while briefing about the world markets too. Today, it has become a benchmark for bold, objective and timely reporting about the Indian market. The subscribers include producers, food and wine importers and exporters, hospitality decision-makers, consumers, retail sector heads and hotel management institutes and students throughout the world. About two-thirds of the subscribers are spread pan India. IWA has organised several wine appreciation programmes throughout India and helped several wine shows in organising wine seminars. It organised highly successful Master classes for Sicilian wines in 5 cities on behalf of IRVOS, Sicily in January 2012 and 2013. IWA organised a Seminar on Bulgarian Wines in 2013 at their Embassy where Arora was also the keynote speaker. IWA collaborates regularly with ProChile to organize an evening of Chilean wines and food. IWA has the unique distinction of making India participate as a nation for the first time, in ‘Wine for Asia’ Singapore in 2005. It helps in organising visits of the right-profiled importers to foreign countries. Indian producers also participated and show-cased their wines for the first time at the World Wine Symposium in Villa d’Este in 2012 and repeated in 2013, thanks to IWA. Our official website, www.indianwineacademy.com was voted as the Best Wine Website 2011 by Comitato Grandi Cru d’Italia in Verona. Subhash Arora is a noted prolific wine writer, author, journalist, international judge, speaker, consultant, educator and a wine club promoter. He is the Editor and major content provider of delWine. He is also the India Correspondent of Meininger’s Wine Business International, Germany. He has written for several newspapers and magazines in India and abroad. He is a regular contributor to UpperCrust, the high-end lifestyle magazine published from Mumbai. Arora is an electrical engineer from IIT Delhi and is an FIE, the highest level of membership in the national professional association. After working in Germany for a year, he went on to the US and completed his MSIE and MBA from the University of Minnesota. An IT entrepreneur, he has been a wine evangelist and ambassador for the last 16 years, singularly devoted to the promotion of wine culture in India. 2012 (4): WSA Wine Challenge Singapore (Panel Pres), Concours Bruxelles Mondial (Portugal), Mundusvini, Cathay Pacific HKIWSC (Panel Pres). 2010 (10): Cathay Pacific IWSC Hong Kong, MundusVini (Neustadt), Michelangelo Wine Awards (Stellenbosch), Grand Hyatt Cata d'Or (Santiago), Vinoble 2010 (Jerez), Selezione del Sindaco (Brindisi); Concours Mondial de Bruxelles (Palermo); Vinitaly Concorso (Verona), Wine Style Asia Singapore (Panel President), India Wine Challenge (Mumbai). He has participated in the Torino Wine Show twice and the Alba White Truffle Show in 2009. He was the only Indian delegate at the first ever World Wine Symposium held at Villa d’Este, Lake Como in 2009. He has been invited for all the editions including the 5th edition in November, 2013. He was invited to speak and meet producers at Vinitaly in Verona in 2002 and 2006, Alimentaria 2006 (Barcelona) and Madrid Fusion 2007. He was invited to deliver talks on the Indian market and consumer trends in Fenavin 2007 at Ciudad de Real, Spain, Prowein 2007, Vinitaly 2006 and Wine for Asia Singapore 2005 and 2008. He was invited to speak at the first National Wine Convention of IGPB in Delhi, 2010, Fruit Wine Conference in Shillong in 2011 and several other platforms in India including visiting overseas delegations. Recently, he spoke at the Intenrational Wine Tourism Conference at Barcelona on Indian Wine Tourism in April, 2016. He was invited by the Government of Rioja to participate in the Grandes de la Rioja 2006 tasting of the region's wines. He went for the Tuscan Tastings in Feb. 2009, 2010, 2011 and 2013-2018 where he tasted the new arrivals of Chianti Classico, Nobile di Montepulciano and Brunello di Montalcino. He has also been in May 2009, 2010 and 2011 to Alba to taste Barbaresco, Barolo and Roero's newly released vintages. He visited Porto and Douro wineries and Priorat region in Spain in 2011 and the Austrian Wine Summit before that. He regularly visits various wineries in the world, tasting different varietals. He was invited to the prestigious Premier Napa Valley auction in 2012. He is also a member of the Wine Century Club. He visited Chile in 2010 and 2016 and visited about 20 wineries. He has also visited wineries in Georgia (2015), Slovenia (2015), Thailand (2015), Bulgaria (2016, Greece (2016). Portugal (2017, 18), Hungry (2018) and China (2017-18). Some of the other shows where he went as a journalist were TopWine 2006, 2008 (Huelva, Andalucía) and Vinoble - the biennial international exposition of dessert and fortified wines in 2006, 2008, 2010 in Jerez, Vinitaly 2008, Cape Wine Show 2008, Arezzo Wines 2009, Riminifiera 2010 and several shows like Vinexpo, ViniSud, Vie Vinum, Vinea, Madrid Fusion, Alimentaria, Singapore and Hong Kong. He has been invited to Italy several times to visit vineyards and wineries of Prosecco, Torino and around, Soave, Valpolicella, Friuli, Chianti Classico and Montalcino, Piemonte, Sicily, Puglia, Lazio, Emilia Romagna, Franciacorta and Marche. He also frequents the biennial International Wine and Heart Health Convention in the USA attended mostly by doctors and heart specialists. He has addressed several delegations and groups of interested producers in Italy, Spain, Chile and Napa. He addressed the producers of British Columbia in Canada through video conferencing in 2013 and helped them launch a programme of exports to India. Under the leadership of Arora, the Delhi Wine Club he founded in 2002 has successfully organized 271 events till August 2017. He has organised many other wine promotional events in the leading hotels and restaurants in Delhi including one at the Estate of the President of India. 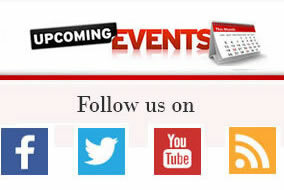 He has conducted similar events in Mumbai, Kolkata, Bangalore, Pune and Chandigarh. He is also an avid supporter of the Indian wine industry and frequently visits different wineries and motivates the producers to continue their efforts to improve quality to help increase wine consumption and reduce the consumption of liquor and high alcohol beverages. In the first-ever survey conducted by Wine Business International, he was voted the best wine journalist of India in 2006. He was nominated for the ‘Best Foreign Wine Journalist Award’ by the Grandi Cru d’Italia, 2010, 2011, 2012 and 2013. Mr. Subhash Arora was knighted by the Italian President in 2009 and awarded the official title of Cavaliere, for his meritorious efforts in building friendly ties between India and Italy through wine promotion and education. He also co-authored the Italian Wine Guide 2006, the first book of its kind in India. He was the first-ever Indian to be awarded the prestigious OIV Merit Award at the 34th International Conference on Vines and Wines in Porto, Portugal on June 24, 2011 for his outstanding service to the vine and wine industry globally. Earlier, as a catalyst he had helped facilitate India’s entry into OIV as a full member in record time, ensuring it did not have to join first as an Observer Nation, according to their norms. He has been involved with Indo Italian Chamber of Commerce & Industry in conducting the First level of wine courses introduced in India for the first time as a part of the global strategy, as a faculty member.